Over the past few months there have been many dubious rumors attempting to identify when Nvidia will launch their new line of graphics cards. Everything from a launch in a few weeks to a launch at the end of the year has been suggested, creating a confusing situation for someone wanting to plan their next GPU purchase. Perhaps the most credible source yet has appeared, giving us an indication of when Nvidia's upcoming flagship, the GeForce GTX 880, will be released. According to a Gigabyte executive, interviewed by Expreview at the ChinaJoy Conference in Shanghai, Nvidia will launch the new GPU in September. 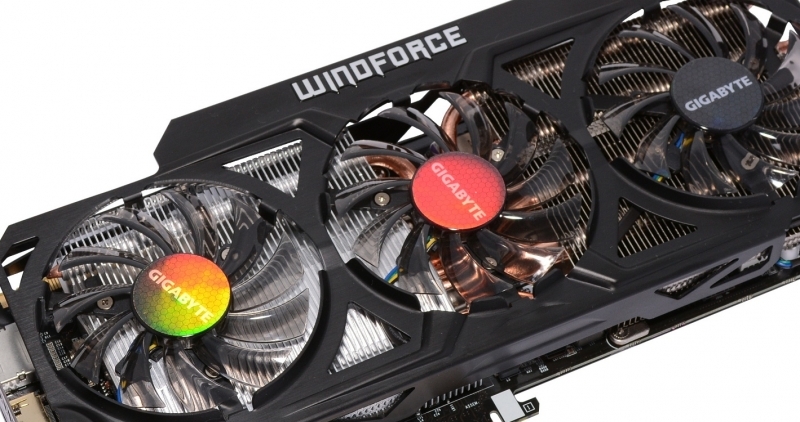 Gigabyte themselves are working on a custom-cooled variant of the GTX 880 called the G1.Gamer, which will feature a cooler capable of dissipating up to 650W of heat. The heatsink is apparently large enough that it can passively cool the GTX 880 in some situations, meaning the included fans are only necessary during heavy loads. That's not to say the Maxwell-based GTX 880 will have a TDP of 650W; it'll likely be something much more reasonable, similar to what we've seen in current GPUs. The card will feature Nvidia's GM204 GPU, with rumored specs indicating a 256-bit memory bus and 4GB of GDDR5 memory (at least initially). Videocardz, who also state that the GTX 880 will launch in September, believe the graphics card will retail between $400 and $450. This would place the card at a similar launch price to the GTX 770, if true. Previous leaks allegedly show an engineering sample of the GTX 880, although the final model will likely differ slightly on both hardware and PCB design.